I am looking for some great second grade teacher blogs to share. Does anyone know of any? Kim Adsit posted a Valentine unit this week that is super cute. It is full of math and literacy activities. My favorite activities from it are the friends tree map/writing activity and the stamp sort. There are lots of great letter and word games too! Check it out at Teachers Pay Teachers. Sorry that I have not been posting much lately. I am taking 9 hours this semester and one of my courses is an internship where I teach a masters course for credit....and it is all killing me.... and I really miss blogging all the time!! This week, I taught a lesson on Penguins. I got the idea of creating a penguin Brace Map from Deanna's penguin unit. I read a non-fiction book about penguins. Before reading, I told the students that our purpose for reading would be to learn what body parts a penguin has and why they are important. I found a great easy to read non-fiction book which talked about a penguin's wings being used for swimming, their tail and feet being used for steering, the bellies being used for sliding, and their feathers being used to keep them warm. After reading the book, I used a stuff penguin to help students review the body parts we learned about and why they are important to the penguin. Students got to stand up, hold the penguin, point to and name a body part, then tell why it was important. Then we worked together to create the brace map. When we were finished, students drew a diagram of a penguin and labeled its parts. We talked about diagrams and how they are used in non-fiction texts. I am really sorry about all of the problems downloading the snowman glyph and the 100th day unit. I tried to fix the problem, but apparently it did not work. I know several of you left your email as a comment, but I have lost track of who I have sent the units too. If you have not been able to download the units, but would like them, please email me directly and I will send them to you ASAP. Thanks!! I finally got the chance to purchase Deanna's penguin unit this weekend. What a great unit for incorporating the use of expository text and teaching children to write to inform. The "All About Penguin" book activity is a great way to introduce children to and give them practice in using the conventions of non-fiction texts. I also love her use of a schema chart from Debbie Miller's Teaching With Intention for charting new learning and misconceptions. As always, Deanna makes great use of thinking maps and graphic organizers in order to help students make connections and reinforce their learning. If you have not already purchased this unit, you should definitely do so!! Not only is it great for incorporating non-fiction reading into the classroom and teaching students how to write to inform, but the penguins make it so engaging and fun for young learners!! Congratulations Stacy Wolf!! You are the winner of the Doodle Bugs Paper Gift Certificate. Please email me and I will get you in touch with Kacey. Thanks to all of you who participated in the giveaway and to Kacey for providing the gift certificate!! 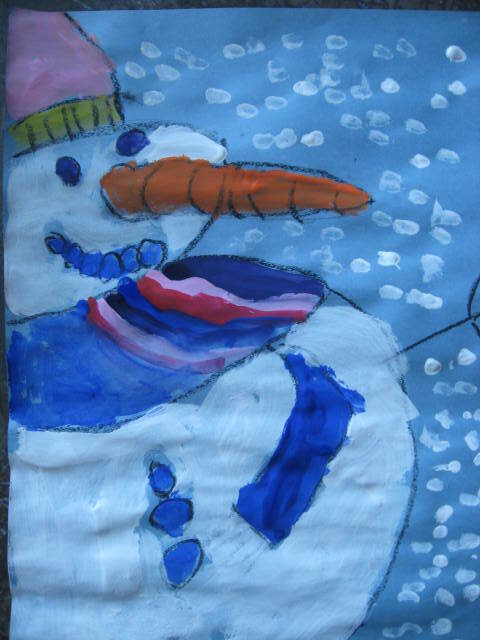 Here is a snowman glyph I have done with my class in the past. I changed the key up a little and I am going to use it this week with a class of kindergartners. Here is the version for kinder students. Here is the version for first grade students. Sorry that I did not get this post made yesterday. It has been a CRAZY week!! Thanks to all of you who shared your great ideas and thanks Kathleen for offering the giveaway!! Through a random drawing, and a little help from my husband, Danielle from learningandlaughing.blogspot.com won the Growing Kinders Penguin unit. Danielle, please email me so I can send you your unit. Thanks again to all of you who entered. Make sure you go to Kathleen's store at Teachers Pay Teachers to check out all of her great products!! Kathleen from Growing Kinders has a great new penguin math center unit for sale on Teachers Pay Teachers and she has graciously offered to give a copy away to one of you lucky bloggers! 1. Go to Kathleen's Growing Kinders Blog and become a "follower." 2. Go to Kathleen's Teachers Pay Teachers Store and become a follower. 3. Comment to this post on a penguin lesson or activity you have used in your classroom. You could even share a favorite penguin read aloud, poem, or song. The giveaway ends Friday, January 14th at Midnight. The winner will be announced Saturday, January 15th. Good luck everyone and be sure to check out Kathleen's other items for sale when you visit her Teachers Pay Teachers page. I purchased her Hats Off to Snowmen CVC literacy center tonight and I love it! I recently posted about the great products Kacey has for sale on her website Doodle Bugs Paper. She has lots of great items perfect for teachers such as portfolios, note pads, personalized stamps,and book tags. All of her products would make great gifts for fellow teachers, family members, and friends. Kacey has graciously offered to donate a $20 gift certificate for a Doodle Bugs Paper Giveaway I am hosting. To enter the giveaway, follow these easy steps! 1. Check out Kacey's website and all of her great products! 2. Go to Kacey's blog and become a "follower." 3. Post a comment about one of Kacey's products and how you could use it or who it would make a great gift for. The Doodle Bugs Paper giveaway ends on Tuesday, January 18th at 12 noon (central standard time). I also love her calling cards, personalized stamps, and custom notepads. If you have not been keeping up with Brooke Perry's blog, Primary Perspective, then you are MISSING OUT!! She has posted so many GREAT ideas!! and I just realized tonight that she has items posted on Teachers Pay Teachers. 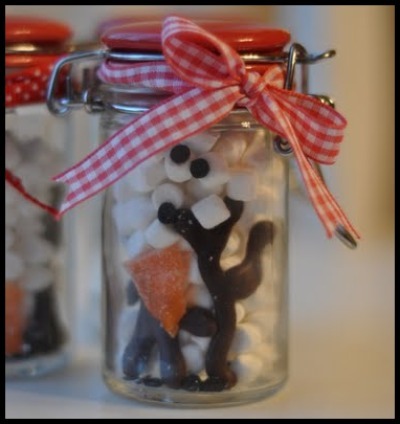 Go to Brooke's TPT store to find lots of great winter literacy games and activities and her new book Five Little Snowmen. 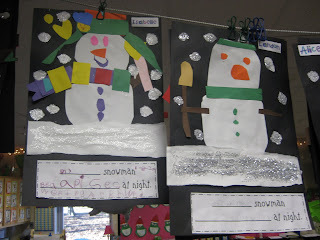 For the last two weeks, I have been using the book Snowmen at Night and Snowmen All Year to teach lessons in kindergarten classrooms. The 2 books are great for comparing. 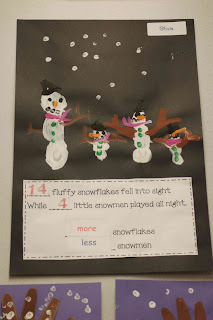 Today we used Deanna Jumps's how-to make a snowman idea from her unit. We worked as a class to make a giant snowman. Then we wrote how we made him using interactive writing on sentence strips. It was a great lesson to use for ordering events in math too. Tonight, I was searching around for a few more ideas to use with the books and I found these. This came from Deanna's February page on her website. 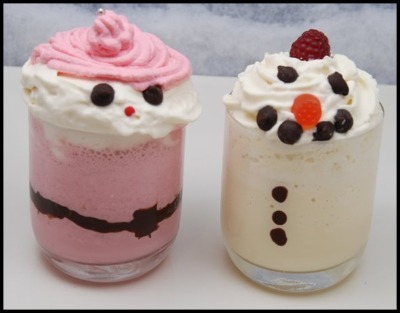 I love these snowmen!! 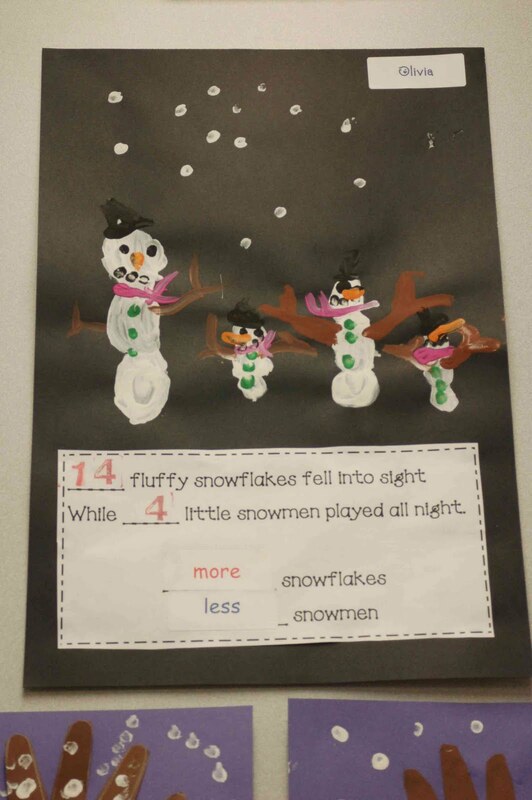 This great idea for using the book for a math lesson came from the January page of the Overall Success website. I found these and just thought they looked fun! Here is the Elmer pattern I mentioned in the MLK unit that I posted last week. As I was looking through posts on Brooke's Primary Perspective blog tonight, I came across this great site Doodle Bugs Paper. I absolutely love the portfolios, personalized stamps, and calling cards!! Brooke is hosting a giveaway, but it ends tomorrow, so enter quickly if you want to try and win! And of course... there is a Doodle Bug Paper Blog!! Be sure to check out A Place Called Kindergarten's The After Christmas Tree read aloud and activity. I love the idea of making pine cone bird feeders. Another great book Jonelle turned me onto is Stranger in the Woods. The pictures in the book are great! This morning, I put together a short handout of blog posts that related to my district's first grade curriculum this coming six weeks. I thought I would share the handout. Everyone has such great ideas!! I wish I had time to make sure you knew about them all!! 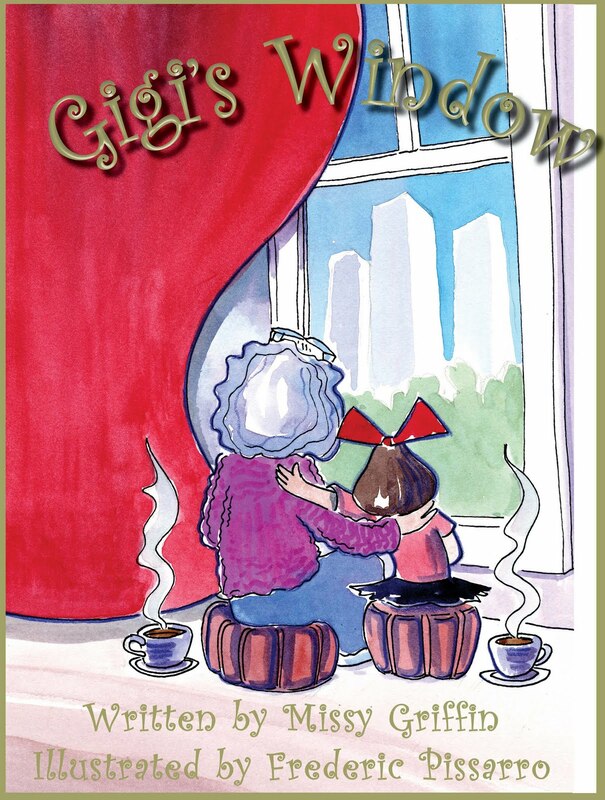 My blogging friend Jonelle from A Place Called Kindergarten is giving away the book Gigi's Window. 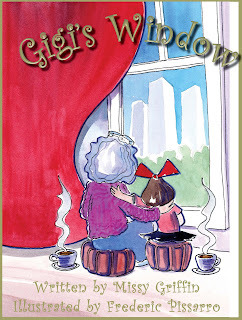 The book is about a little girl's trip to New York to visit her grandmother. There are several ways to enter the giveaway, but it ends at midnight on January 8th so be sure to enter today!! Here is the entire set of helpful chunk signs in case anyone needs all of them. I finally got the Naughty Brothers sign made. Sorry it took so long. Thanks Cindy for sharing it with me!! Last night I found this blog created by an art teacher in California. It is called Mary Making: Highlights from my Children's Art Classes I love the snowmen she made with her kindergartners. For more information on the technique they used, go to the blog.